There's more to outdoor advertising than choosing the right sign. You also have to ensure that your information can be seen from afar, even after the sun goes down. These gooseneck lighting fixtures are specially suited to showcase business signs to ensure that potential customers don't pass you by just because they can't see you. Unlike backlit signs, which are pricey and not always as pretty as you'd like, these goosenecks wrap around your existing sign and shine a targeted light on the areas you want others to see. It's the easy and economical way to ensure your business never loses visibility. This is accomplished all while adding a sense of class and rustic appeal to your exterior design. Not only that, but our lighting is economical and easy for even small business owners to afford. Durability is added through a quality construction that consists of high grade aluminum. This is combined with a sturdy powder coated finish, which is baked directly into the metal itself, offering a much higher level of weather resistance than you'd ever expect to see from painting alone. Rust, corrosion, and fading will not ruin the appearance of your lighting for years to come. 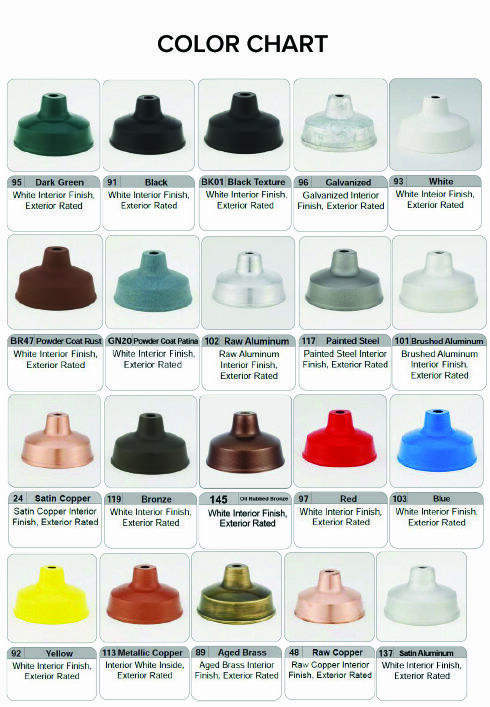 Choose from many customization options and make these fixtures your very own. There numerous colors, some of which can be chosen without incurring an additional charge. Further, there are additional arm bending, shade, and lamp options as well. If you don't see what you're looking for in the drop down menu, then contact our customer service personnel and discuss additional options to coordinate your new lighting with your existing exterior décor.